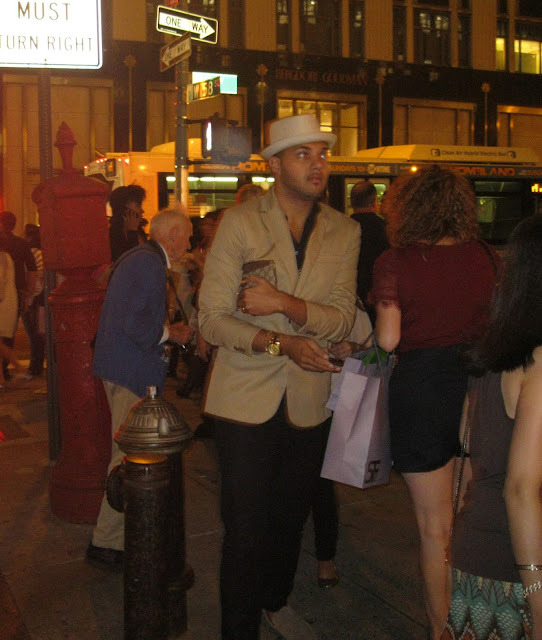 Bill and an admirer at Fashion’s Night Out, September 8, 2011. I was so sad to learn of the passing of legendary New York Times street style photographer Bill Cunningham on Saturday at the age of 87. I always got such a kick from seeing Bill outside his favorite post on 57th Street and Fifth Avenue, watching people walk by and snapping away at outfits or accessories that caught his eye. I would also see him at press previews for costume exhibits at the Met and it made me laugh that Bill wanted to work, and would be working, but he’d get stopped every other minute by magazine editors and journalists who wanted to say hello! I feel like his spirit will live on just outside of Bergdorf’s where I saw him the most, and I hope the city will consider honoring him by renaming that corner Bill Cunnhingham Way. It would be so fitting. I loved the joy and beauty and passion he brought to all of our lives with his photographs. He will be terribly missed. 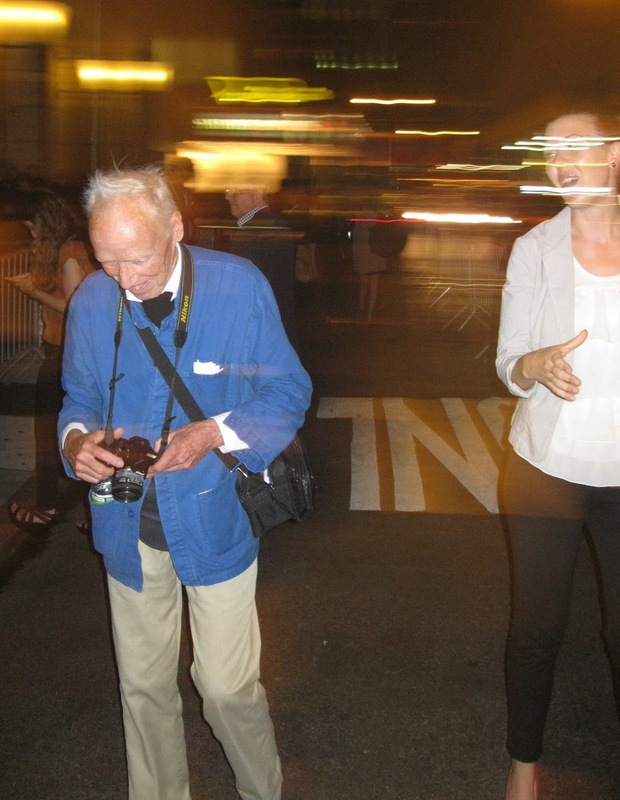 Posts I’ve written about Bill over the years include seeing him at Fashion’s Night Out in 2010 and 2011, what he taught me about photography, and a review of the wonderful documentary Bill Cunningham New York. I do believe I’m in a picture he took—one morning on my way to Bloomingdale’s I was crossing Fifth Avenue on 57th Street. I was dressed in a black cardigan and black trousers and wore an extremely bright Hermès Twilly (this one) at my neck. The gentleman just ahead of me and a bit to the side was also dressed in black, a suit, and also wore an extremely bright tie and socks. We crossed the street at the same time and there was no one else around. I looked up and to my surprise, saw Bill, at the corner, with his camera focused in our direction, taking a picture! I never saw the picture published, unfortunately, but it was pretty exciting to see Bill’s lens pointed at this gentleman and me! ...but people started to realize who was taking pictures! If you have stories to share of Bill, I’d love to hear them. There’s a great piece over at the New York Times by Cathy Horyn, “What It Was Like to Be Photographed by Bill Cunningham,” originally published back in 2002, featuring different fashion industry and media insiders reminiscing about Bill. It is the end of an era, no doubt. Bill Cunningham was a Manhattan fixture. I saw him a few times zipping around in his bike wearing his signature khaki pants. Also taking photos by BG. Well, I am so glad you caught his eye with your ensemble. He must have liked the way you looked which I am sure was terrific. Bill seems to have loved what he was doing in a city he loved. Lucky guy. I was sad to read of his passing. I hope someone can publish a book with the many of the unseen photos, I'm sure he had saved. Maybe you will see that photo of yourself someday Jill. I liked the doco. He was a very shy, private man and it was painful to watch him cringe when the interviewer asked about his relationships/sexuality. I liked his quiet dignity in not going there and unassuming manner in not wanting to be close friends with all those big names and the spartan existence he led at his humble Carnegie Tower apartment. He led a full life with a peaceful ending. Sad at such an NYC Institution passing but glad at no tragic suffering.